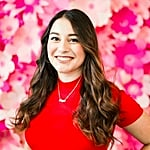 When POPSUGAR Beauty Director Lauren Levinson waved a millennial pink, bubble-wrapped bag in front of my face, offering to let me try out the new, top-secret Glossier product, I practically snatched it out of her perfectly manicured hands. After having great skin while using the Super Pure Serum ($28) a few years back, I have been itching to try out more from the brand. 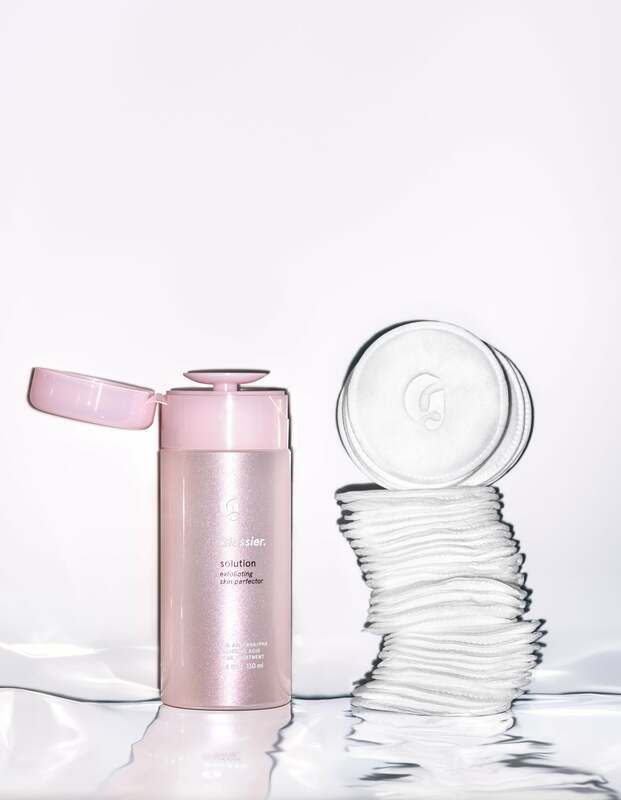 With my new assignment, I embarked on a skin experiment with Glossier's latest skincare product: Glossier Solution ($24). Solution is an "exfoliating skin perfector" that is formulated with three active ingredients — BHA, AHA, and PHA — to slough away rough skin and reveal a more even skin texture through chemical exfoliation. If those acronyms make your head hurt, don't worry — skin care can get really confusing. To refresh your memory, we're going to explain those three powerful ingredients one at a time. AHA stands for alpha hydroxy acid, a chemical exfoliant used for dry skin and evening out skin texture. 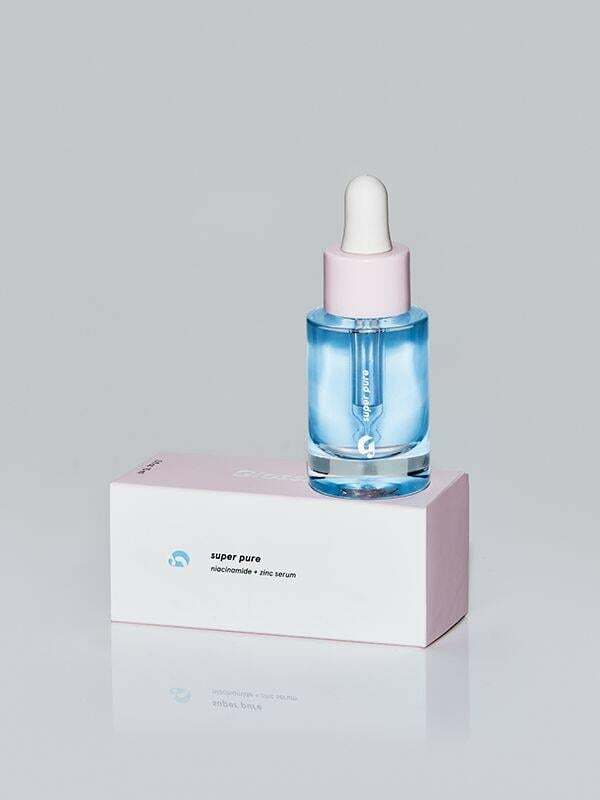 The most commonly used forms of AHA are glycolic and lactic acid, and Solution contains both within its gorgeous pink container. The lactic acid helps reduce acne while the glycolic acid breaks up dead skin cells to improve the texture of your skin. The second exfoliating ingredient is BHA, which is short for beta hydroxy acid. It's also known to us regular folks as salicylic acid, that product you see advertised on every drugstore acne wash you've ever used. It works by exfoliating within pores to break up oil bonds attached to dead skin cells. Salicylic acid in low amounts (Solution only has 0.5 percent) not only reduces acne, but also evens out your skin's texture and can even soothe irritated skin. PHA is the less commonly known ingredient polyhydroxy acid. PHA is similar to AHA, but has the ability to improve the skin's surface strength while exfoliating and conditioning your complexion. With all of this exfoliation, you might be worried that this product could irritate your skin. 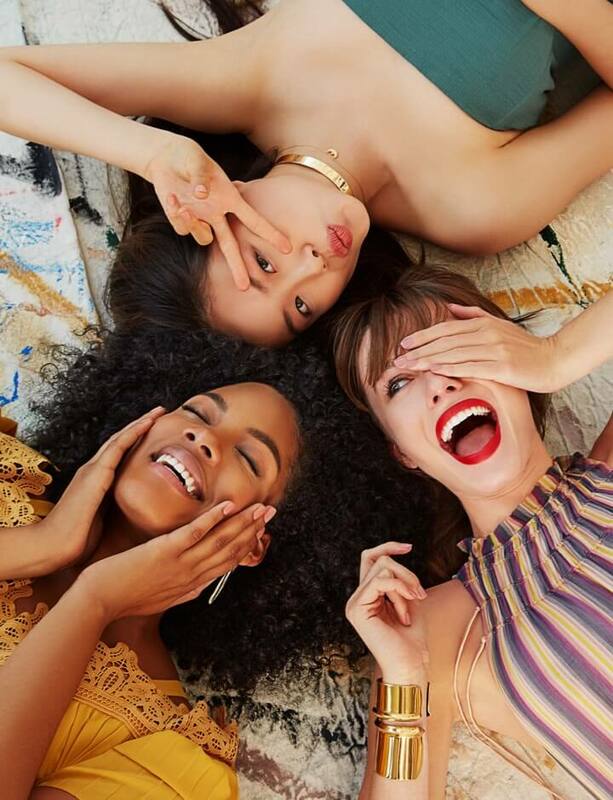 Luckily, Glossier was smart enough to also include skin soothers like aloe, glycerin, and niacinamide to calm your skin while it exfoliates. With these three powerful ingredients wrapped up in one pretty, baby-pink bottle, I was excited to start my new skincare journey with almost a full month to use the product ahead of the January launch. The liquid itself is the consistency of a toner product and has a bit of a strong alcohol-soap smell. Despite the scent, it was extremely gentle on my chapped skin. Solution comes in a bottle with a pump, making it spill-proof (important to a klutz like me) and more sanitary (germs can't get inside as easily!). To use the product, press down on the pump with a cotton pad and wipe across your face. After waiting for the liquid to absorb into your skin, follow up with moisturizer. In a few days, I noticed a significant change in my skin. It was smoother, it had fewer flakes from the harsh Winter, and my skin was starting to look less dull. 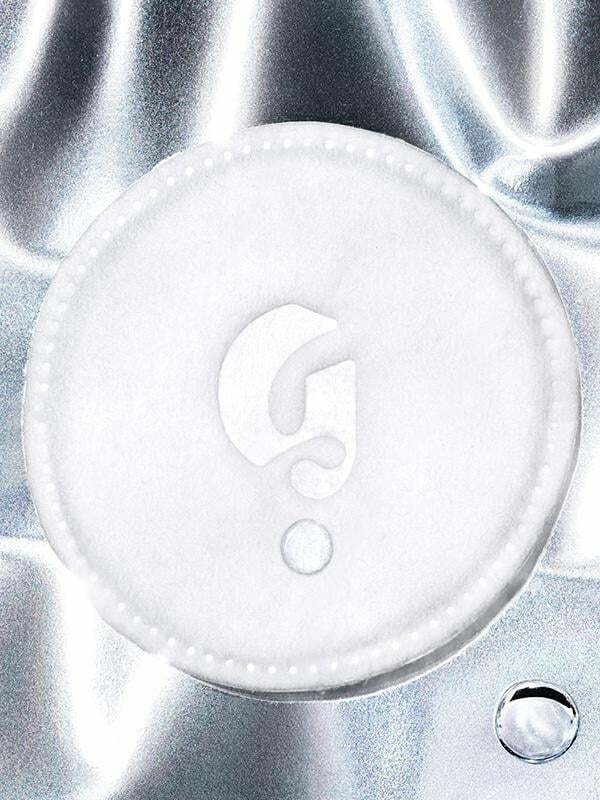 After a few weeks of using the liquid on Glossier's new Cotton Rounds ($4) (which, by the way, are ultrasoft and embossed with Glossier's G logo), I noticed that the blackheads around my nose had disappeared and I had fewer breakouts other than the hormonal bumps I get around my chin. 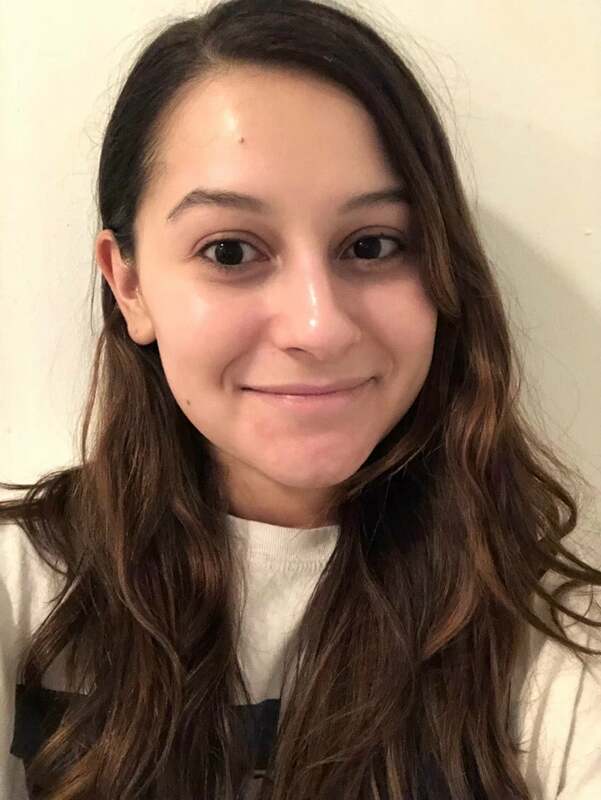 A month later, my skin is mostly clear and seems (mostly) unaffected by the intense temperature fluctuations New York City has been experiencing. I'm really glad to report that this product did not disappoint. All of the ingredients seem to have been put into the product with a purpose, and therefore it didn't irritate or dry out my skin. I would recommend this product to anyone with acne-prone, slightly oily skin who wants to see an improvement in their skin texture. 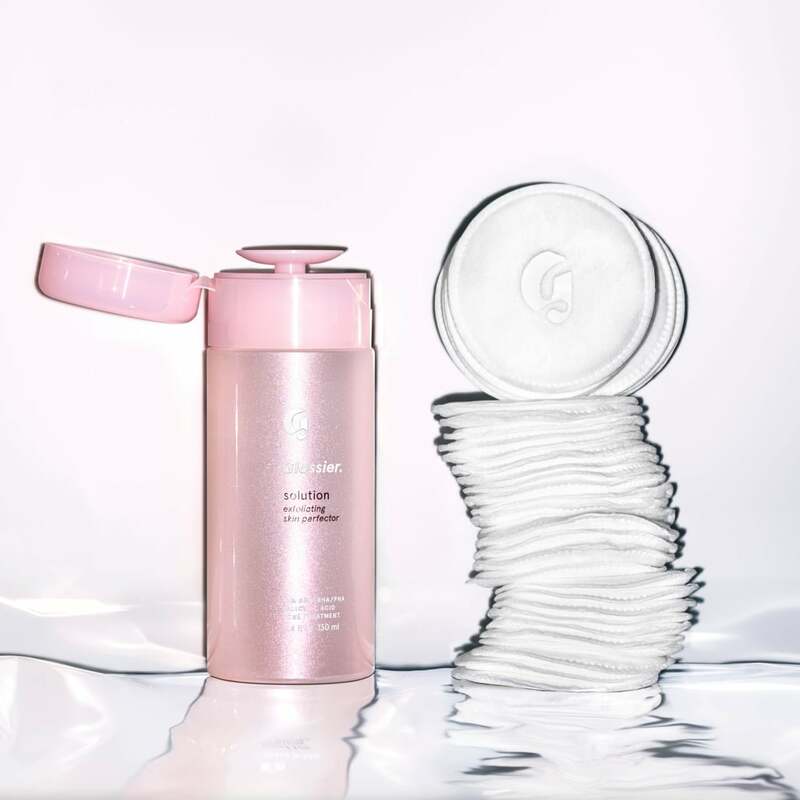 If you're looking for a way to limit breakouts, it's about time to give in to the Glossier hype and test this new baby out.